← What is Torah study? The Pardes Institute have happily given me the opportunity to teach the course I have always wanted to – that marries my interest in political thought and all things Jewish. It is part of an amazing summer programme that Pardes run for people taking a summer break from their work lives to come to Israel and immerse themselves in high-quality yet accessible Jewish textual learning. So if you’re interested get in touch with Pardes now. There are some amazing teachers and topics. Jewish history can be divided into several major periods, each of which can be associated with the literature it has produced. 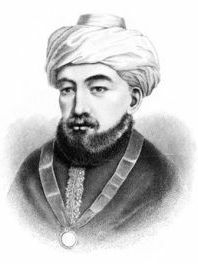 From each of these periods we will study a fundamental dispute that has arisen regarding Judaism’s position on topics of central political concern. We will meet Biblical prophets and kings, medieval Jewish philosophers, towering Halakhists, professors and revolutionaries and will discuss questions of power and the critique of power, messianism and Zionism, the role of the state and the ideal society.